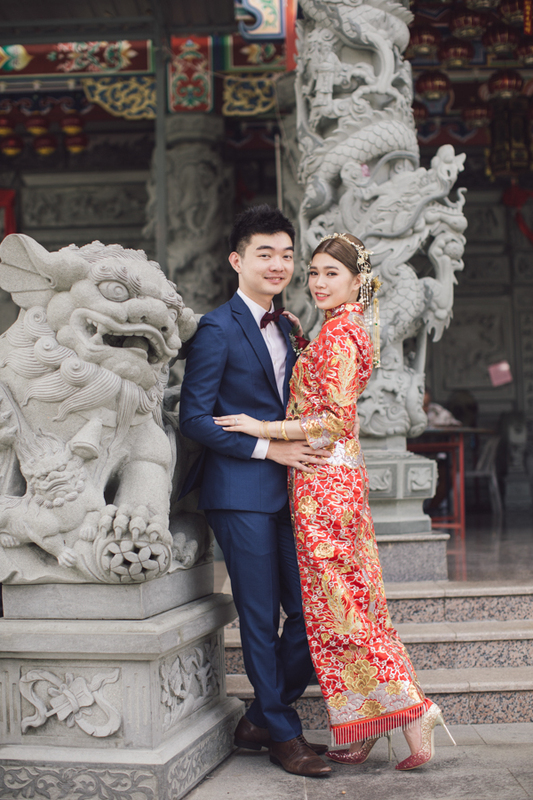 Wedding season is approaching us again! 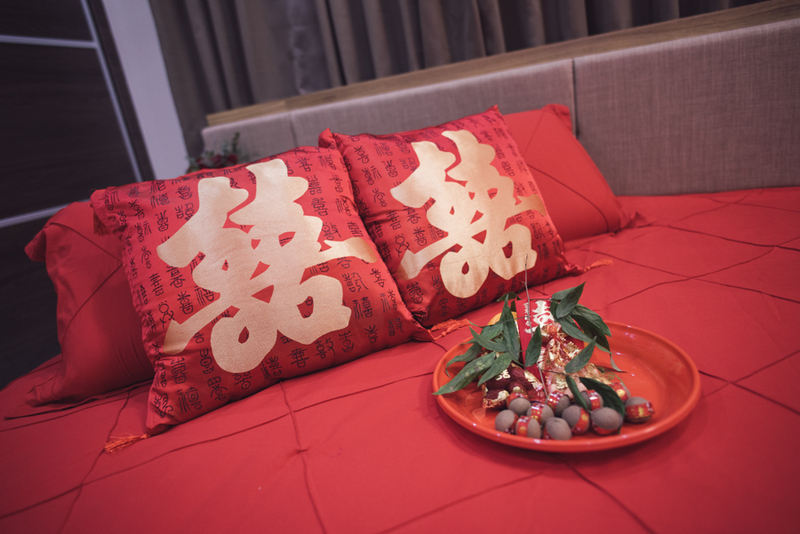 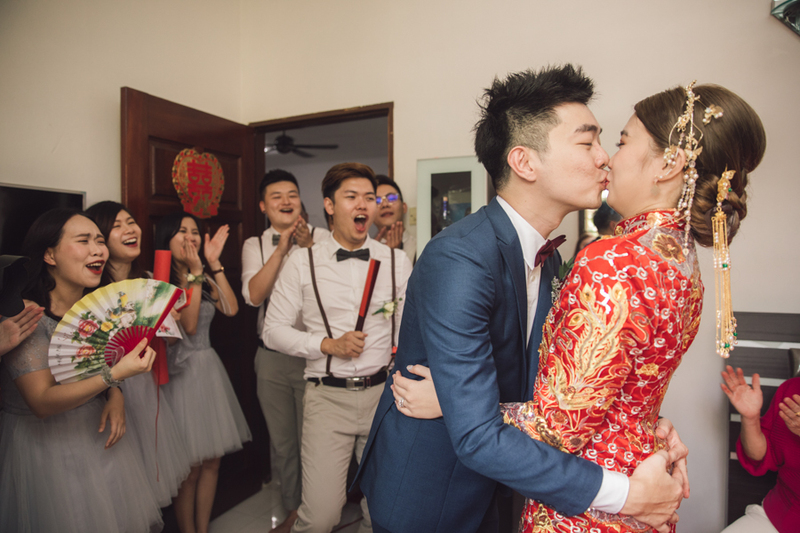 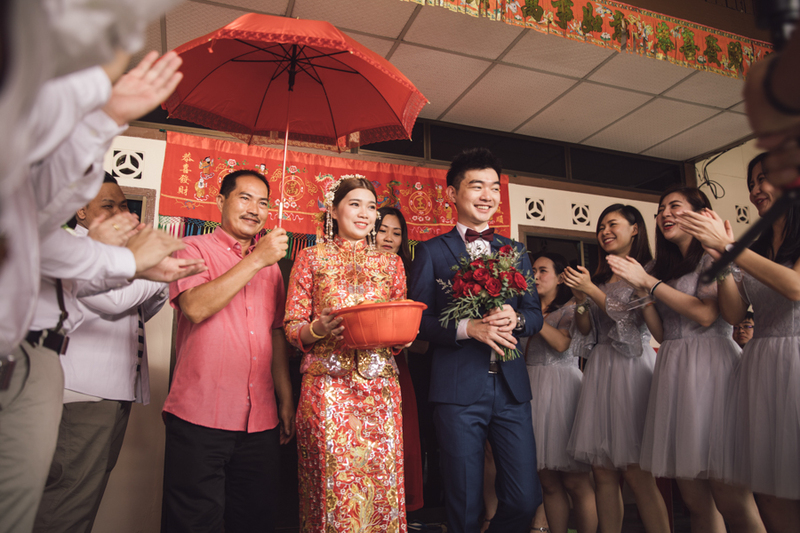 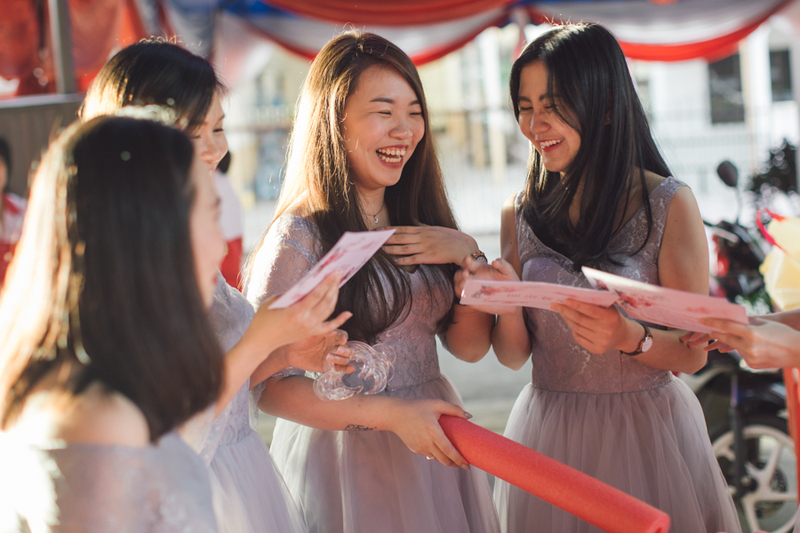 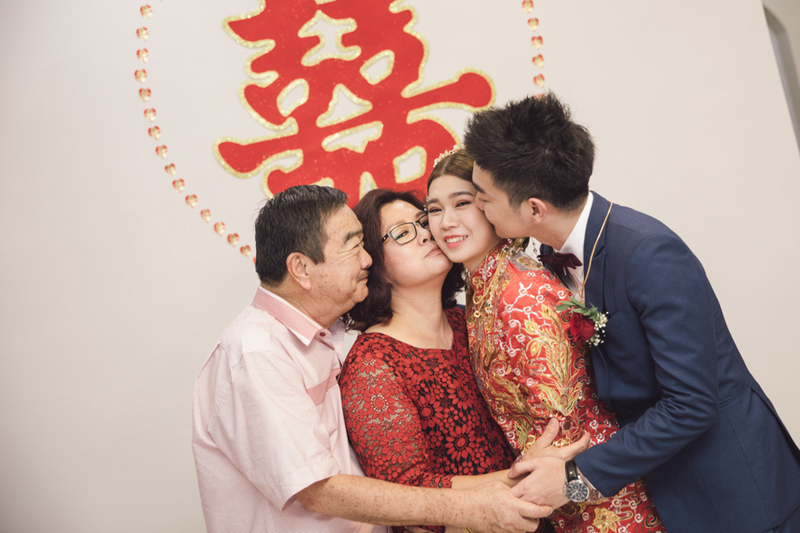 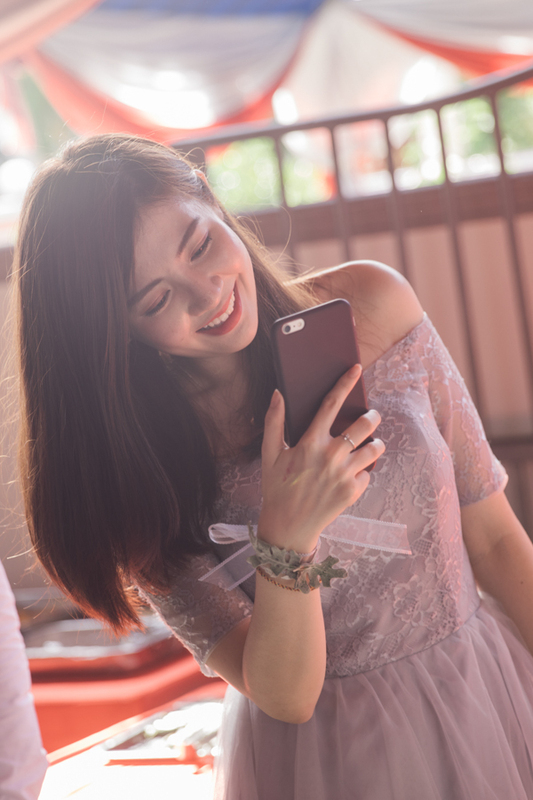 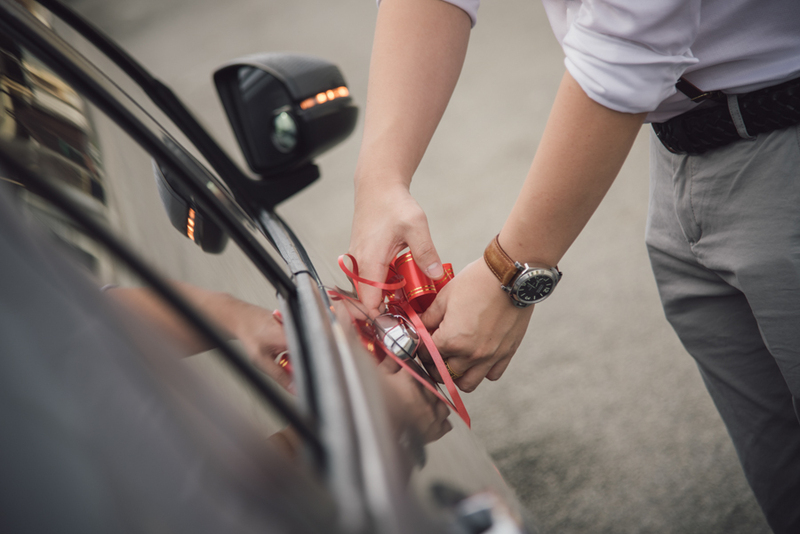 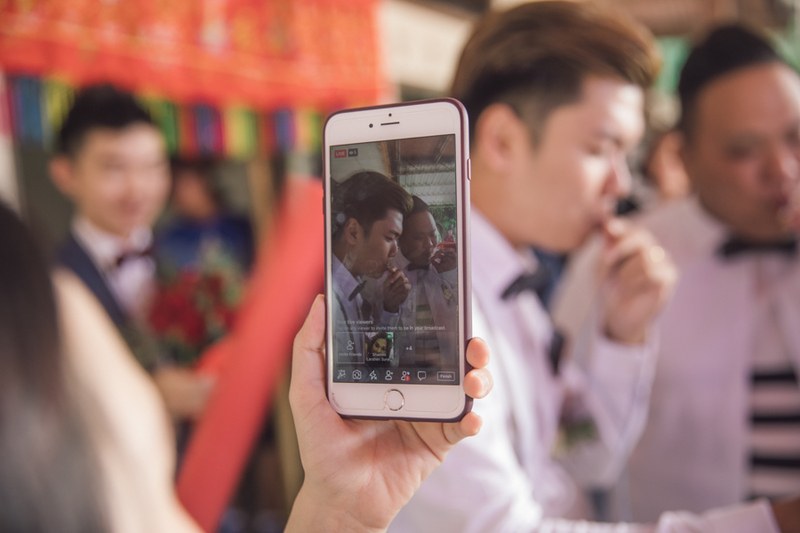 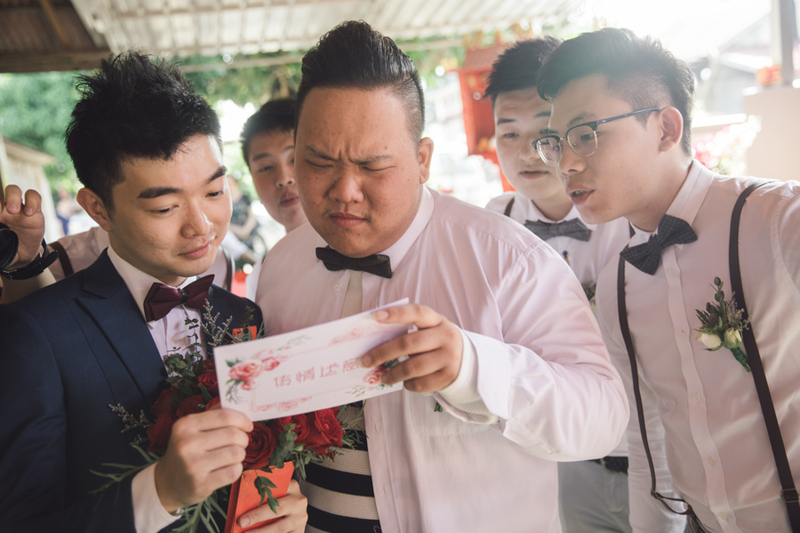 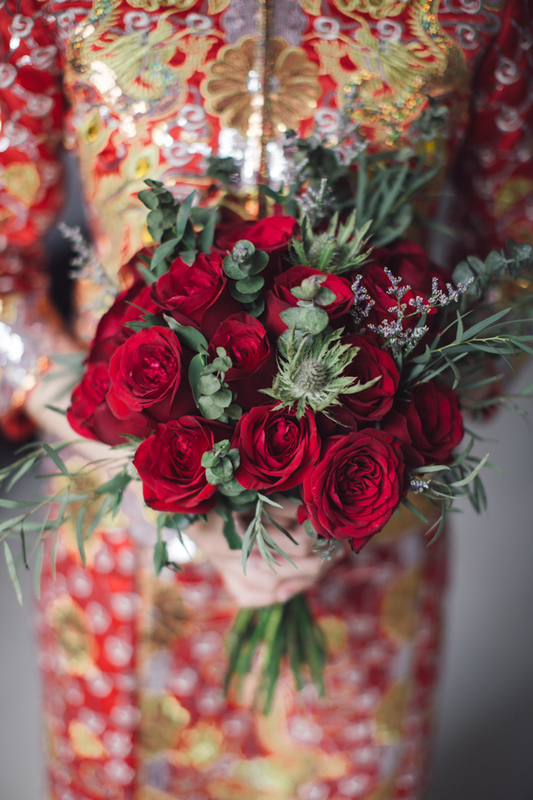 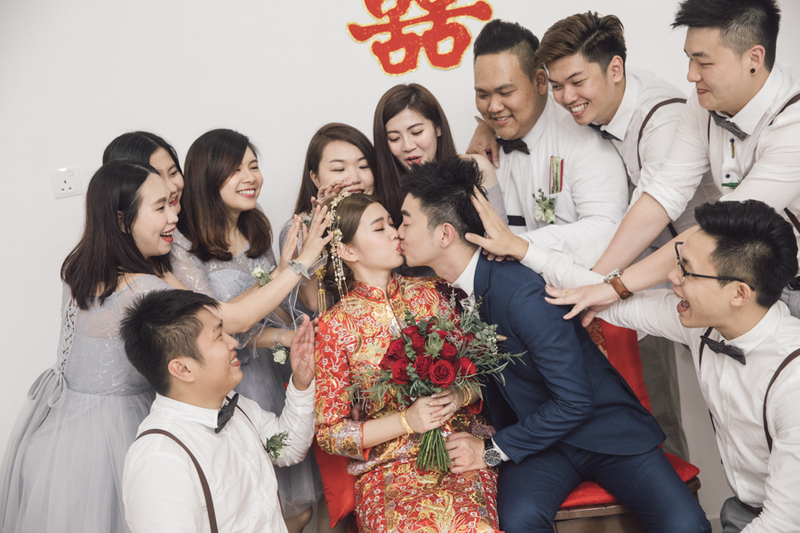 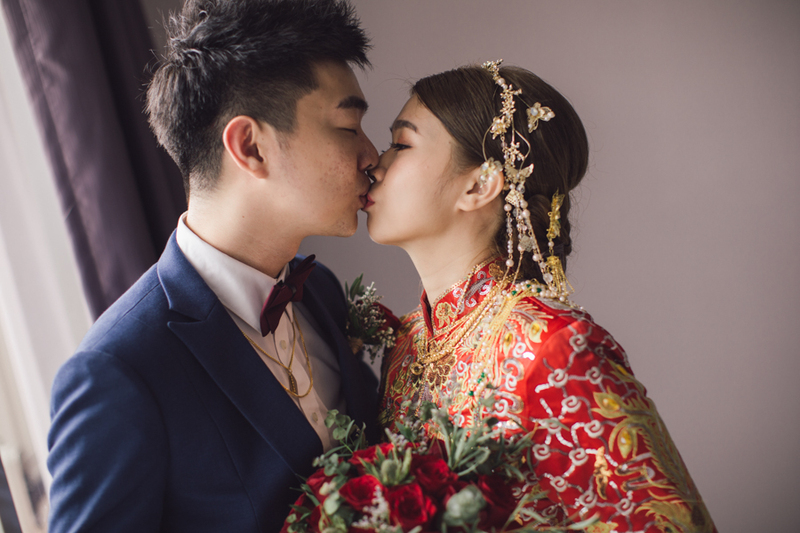 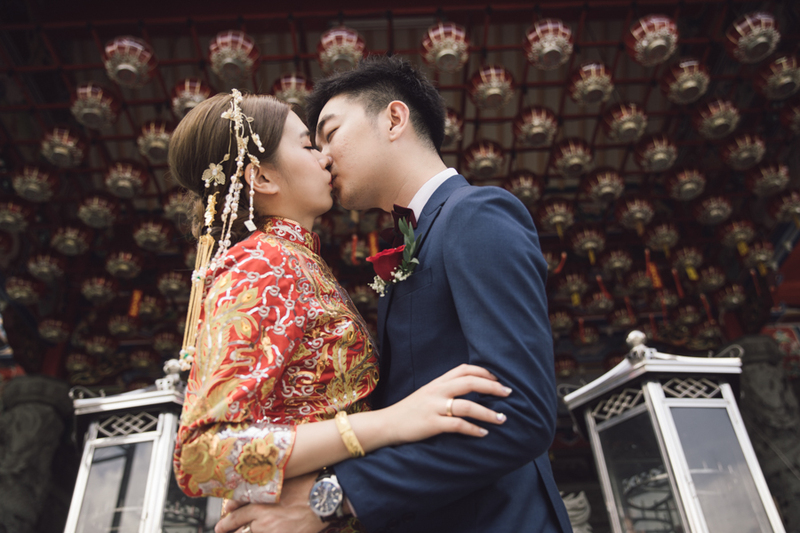 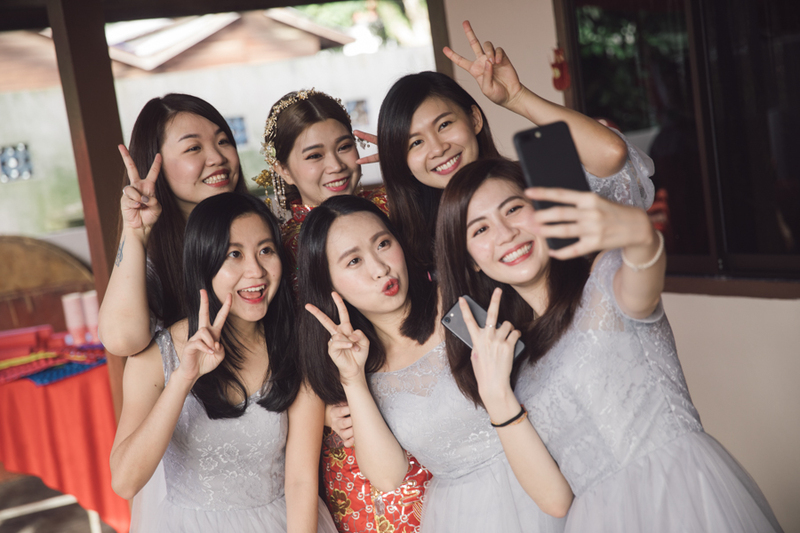 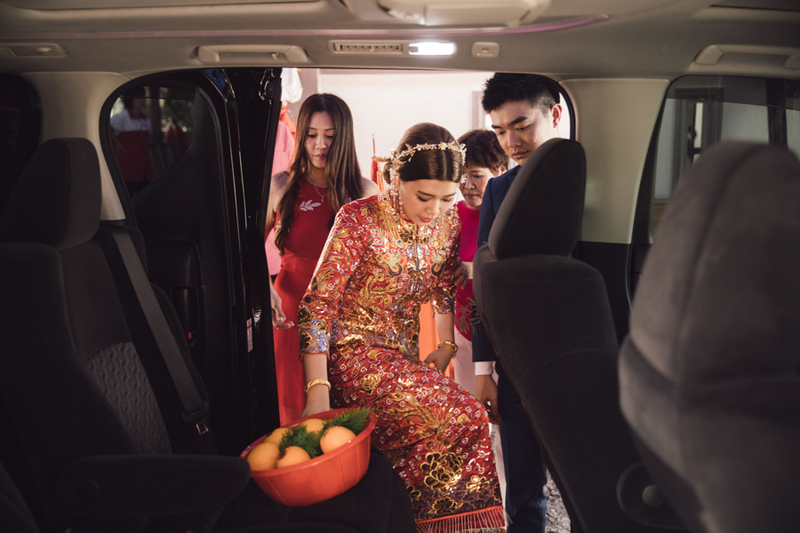 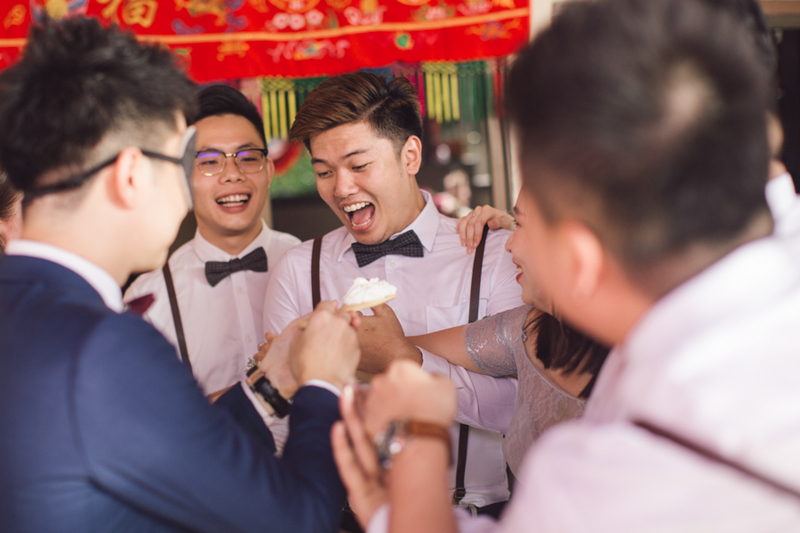 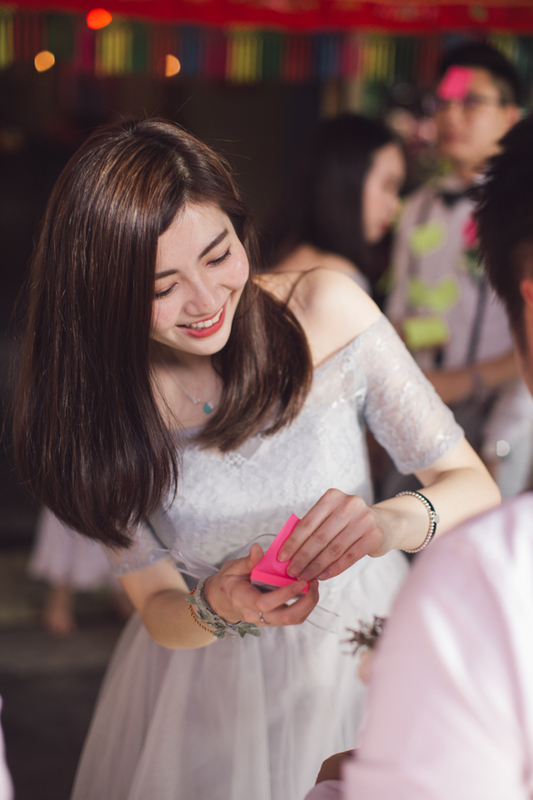 With the ‘Cheng Beng’ season, many Chinese couples do not consider it an auspicious wedding season too. 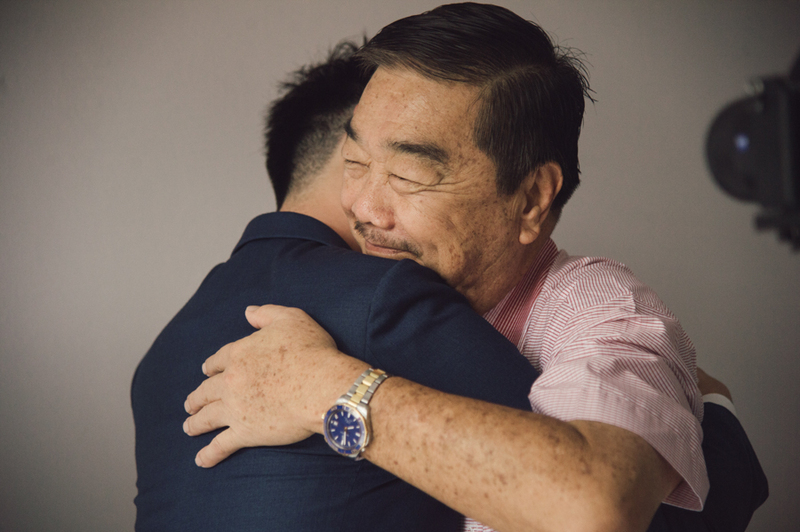 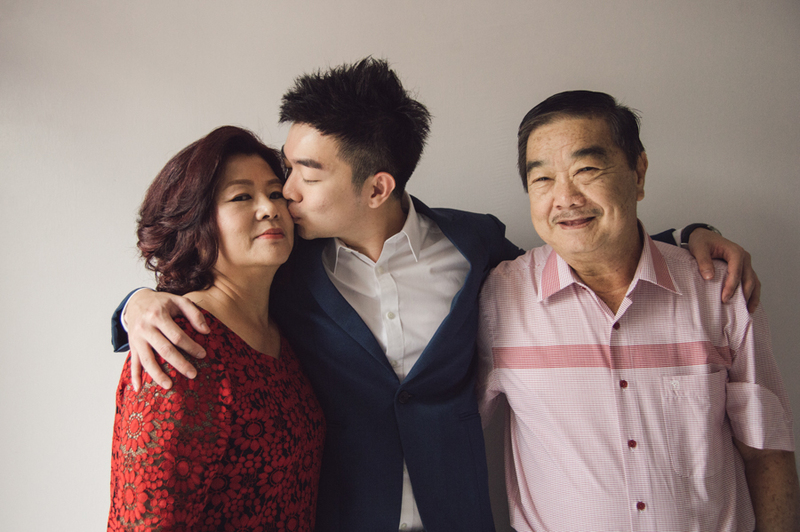 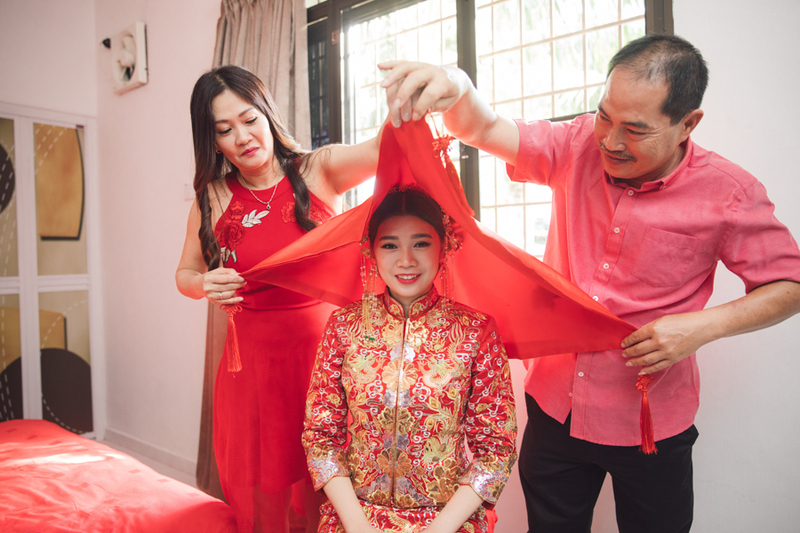 For additional knowledge, ‘Cheng Beng’ is a time whereby many pay their respects to ancestors and loved ones who have passed on. 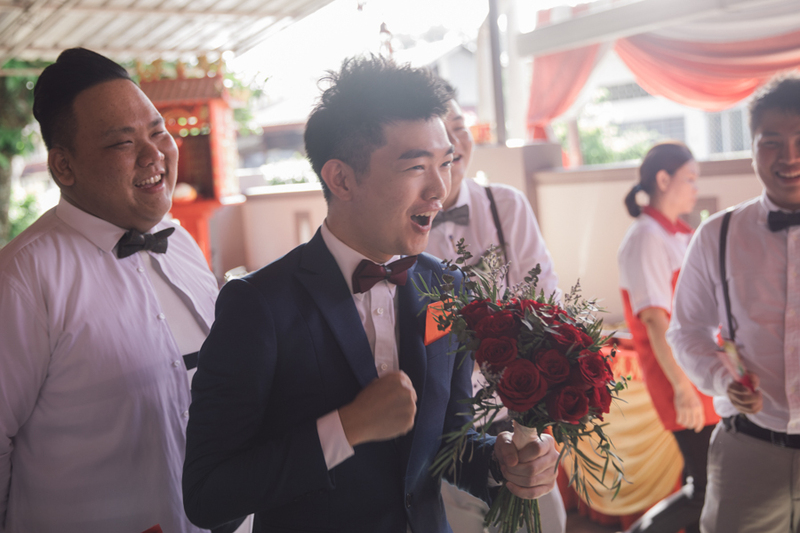 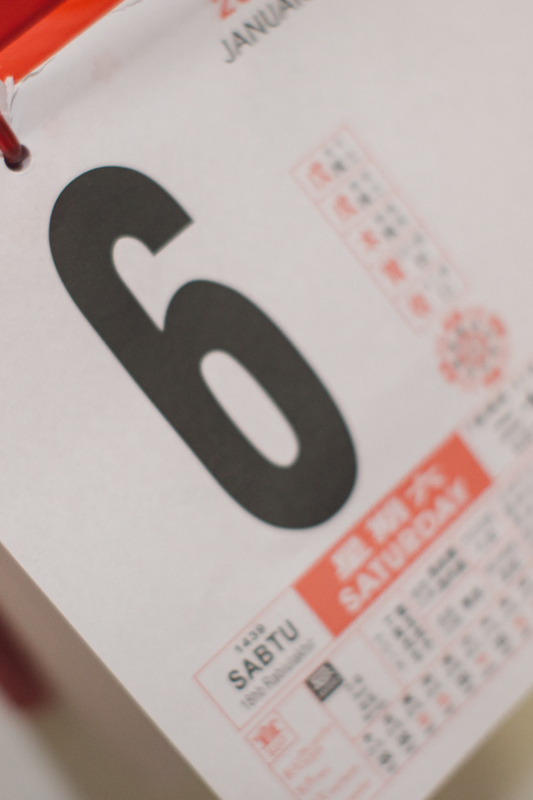 Now that the season is underway, we are back on a full and busy wedding season. 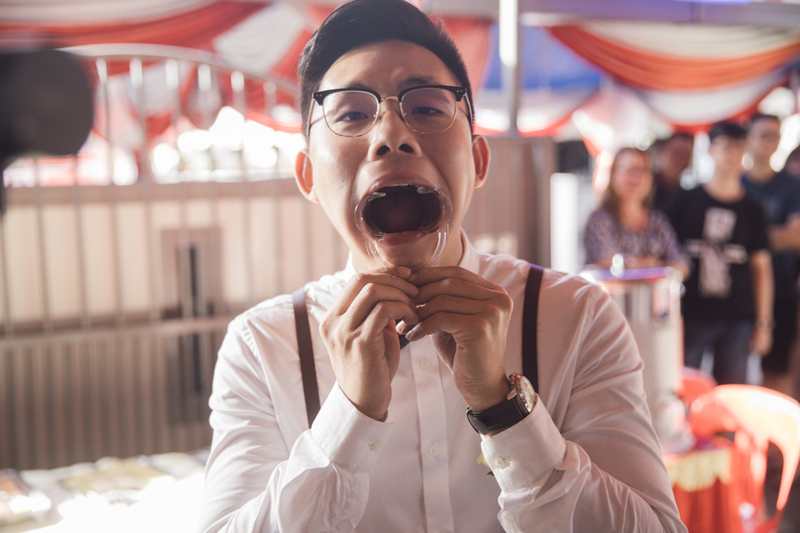 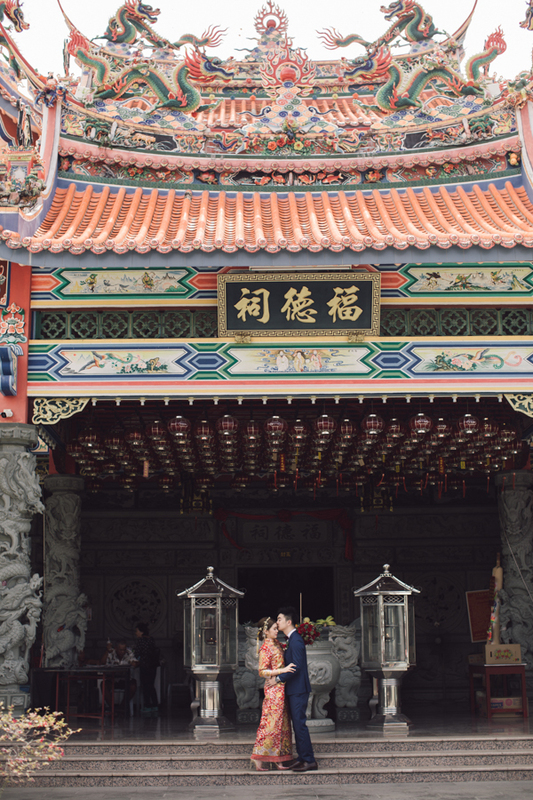 Not only do we cater our services in Penang solely, we travel to places that are out of Penang too. 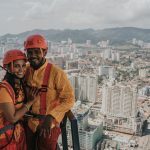 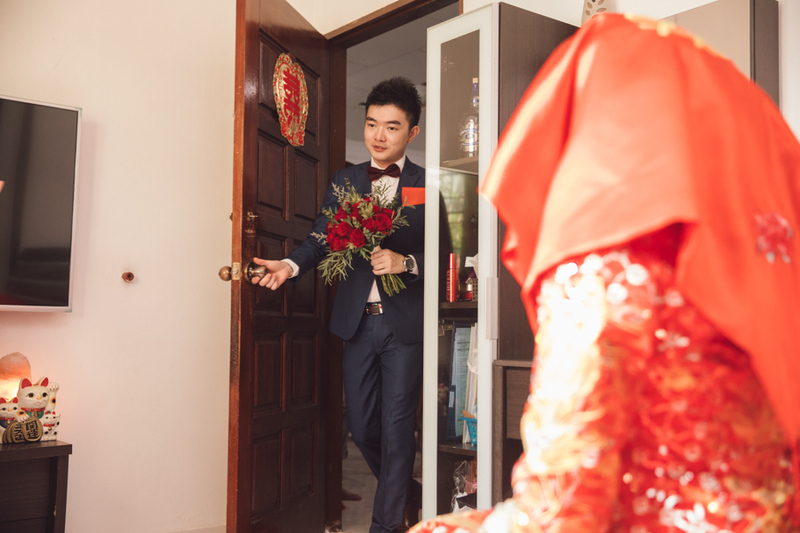 One of our closer neighbour is Kedah and we have had the honour of covering a recent couple’s wedding. 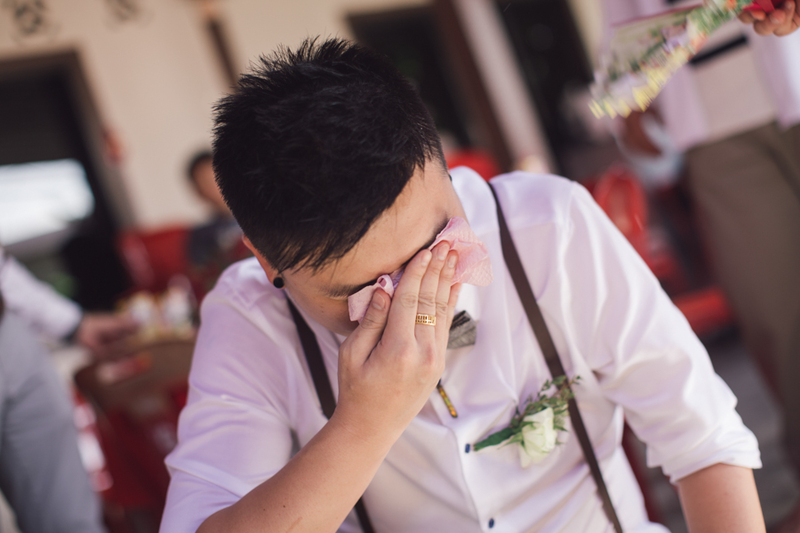 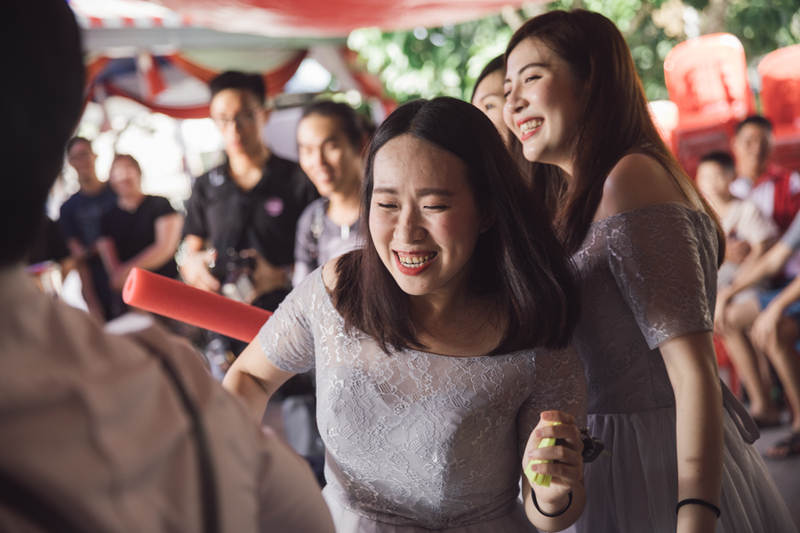 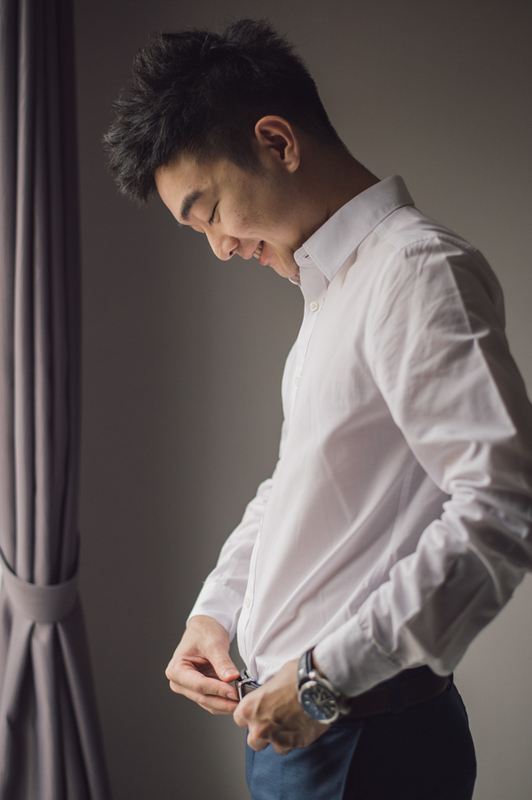 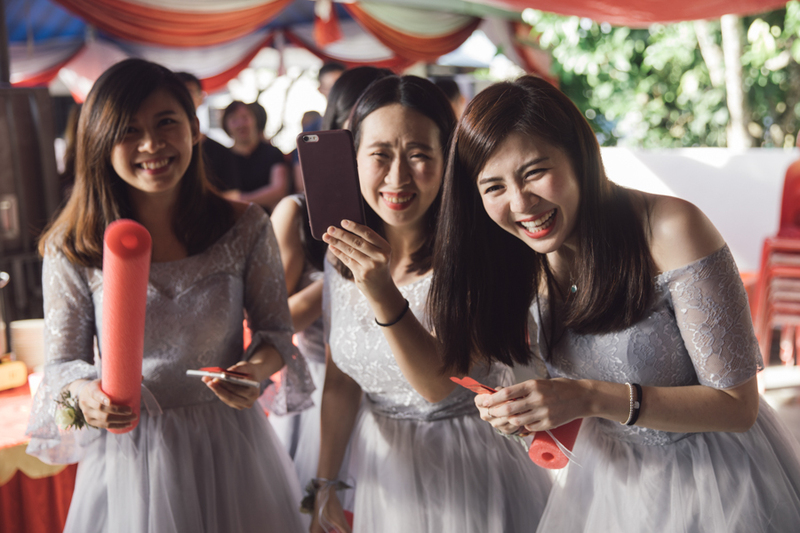 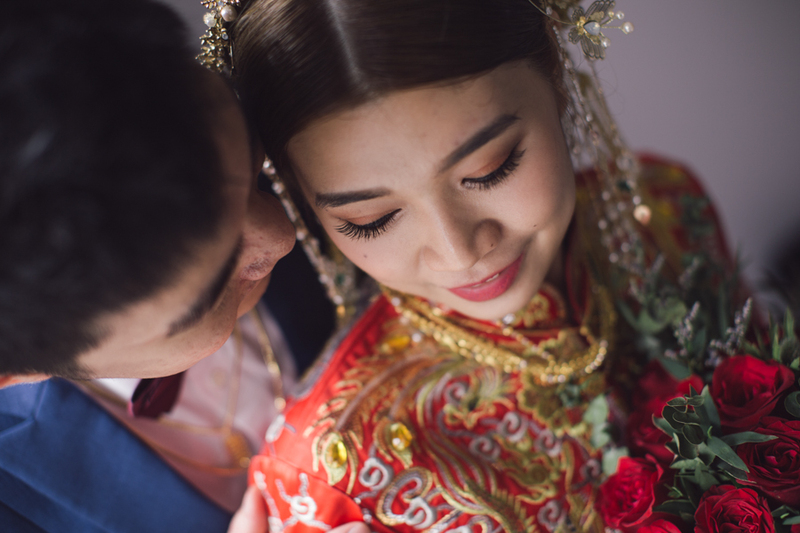 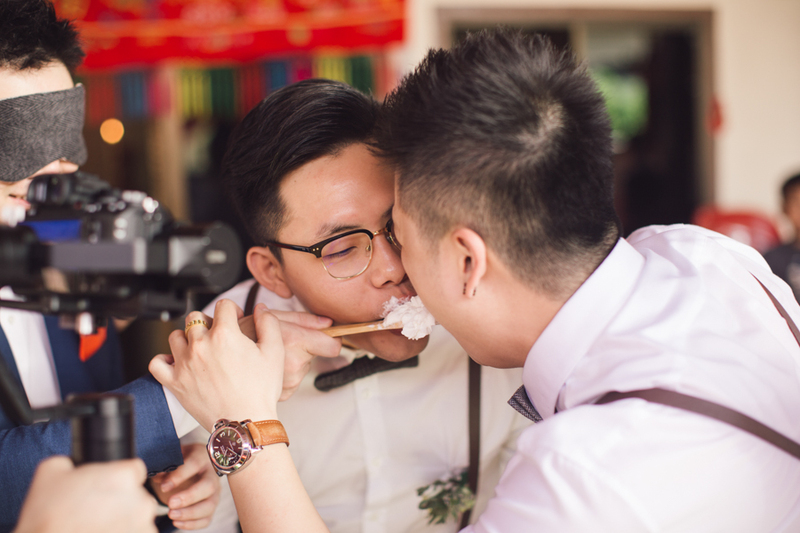 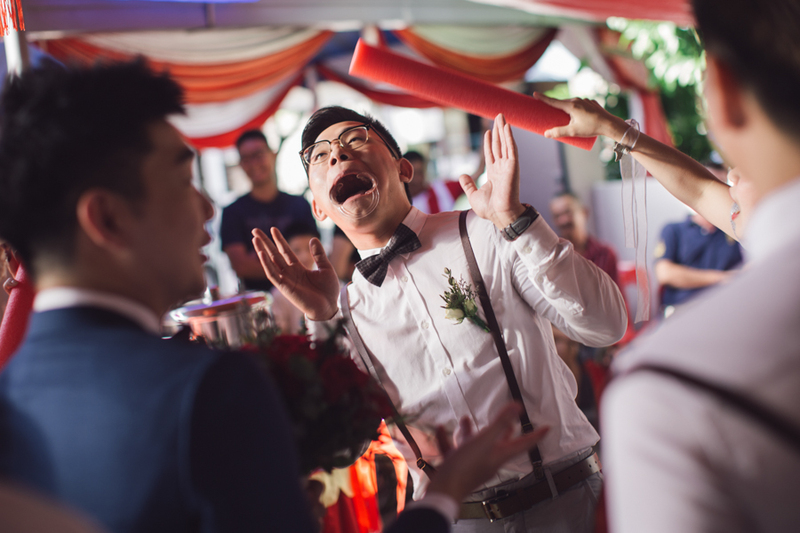 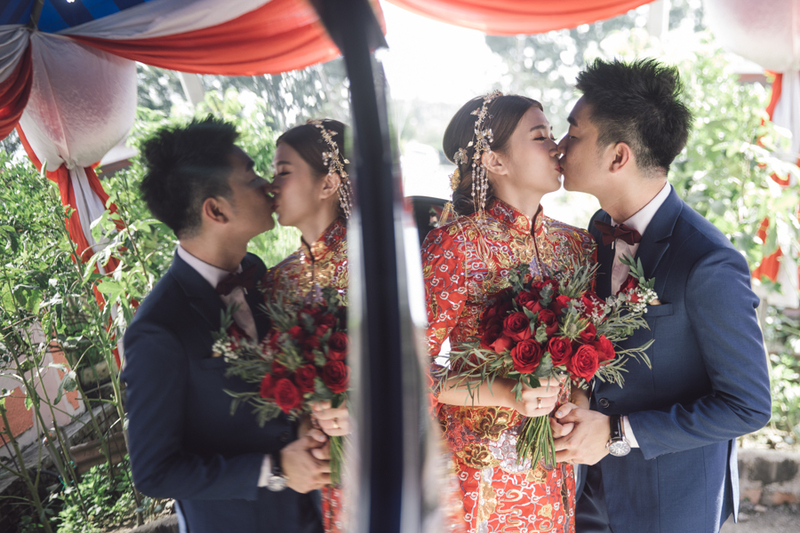 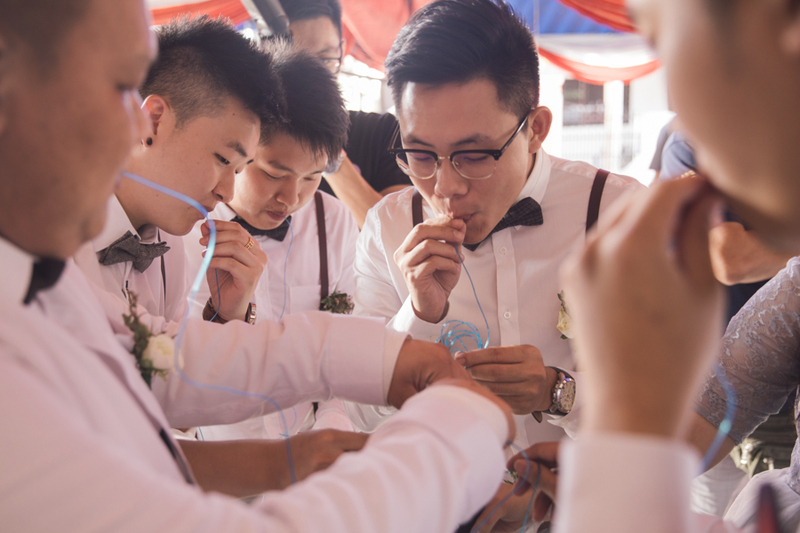 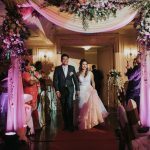 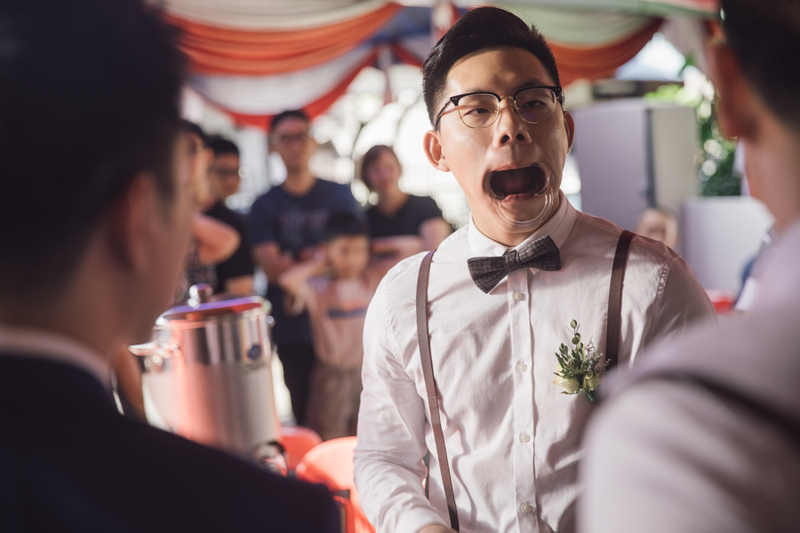 Wei Meng and Jia Huey happily engage us as their Wedding Photographer in Alor Setar, Kedah. 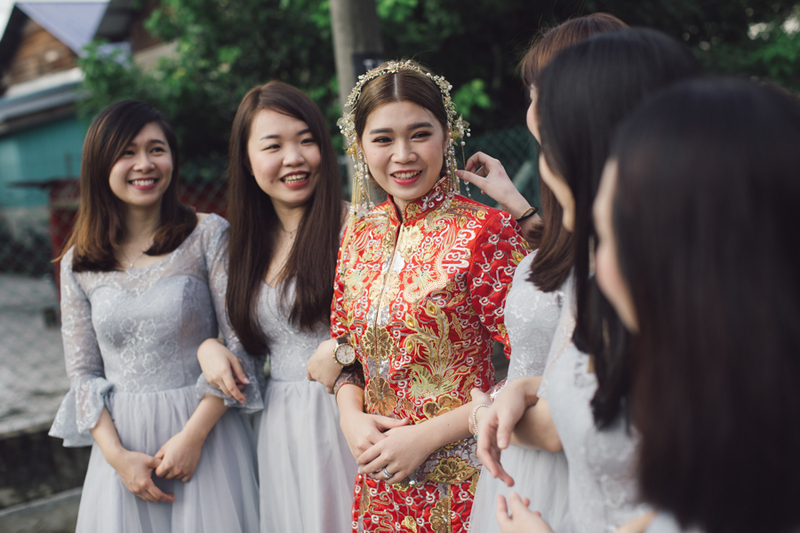 Many weddings in Malaysia follow a different custom due to the beauty of our multi racial country! 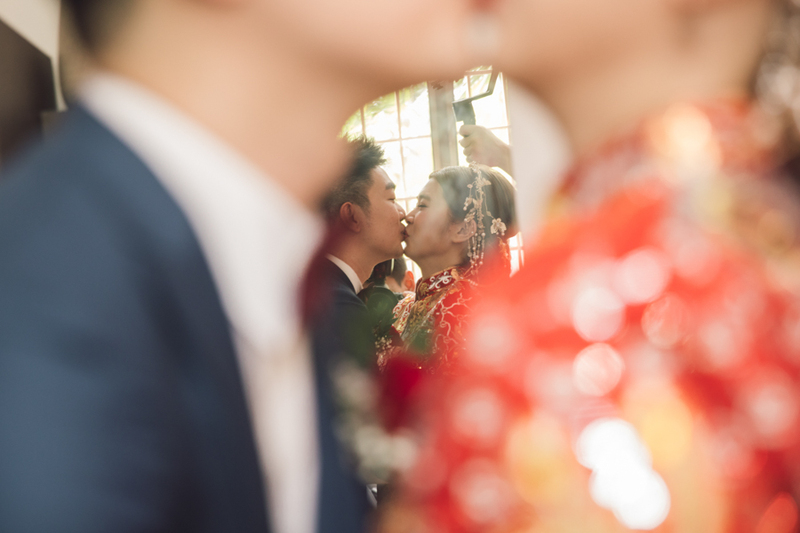 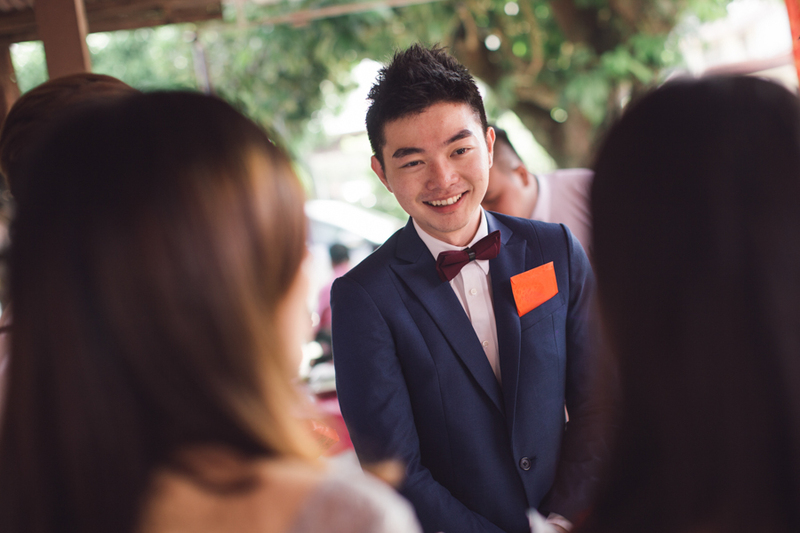 With that said, Wei Meng and Jia Huey’s is a typical Chinese wedding. 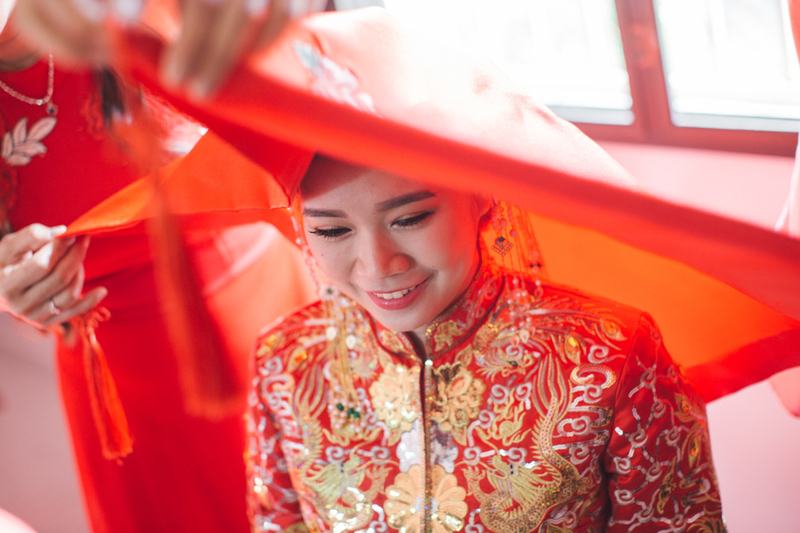 On a beautiful morning, Jia Huey dons a traditioanal Qun Kwa too. 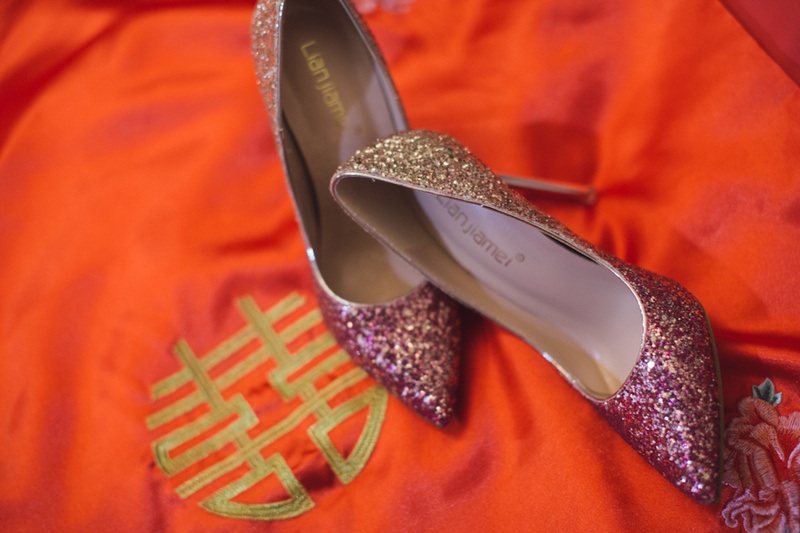 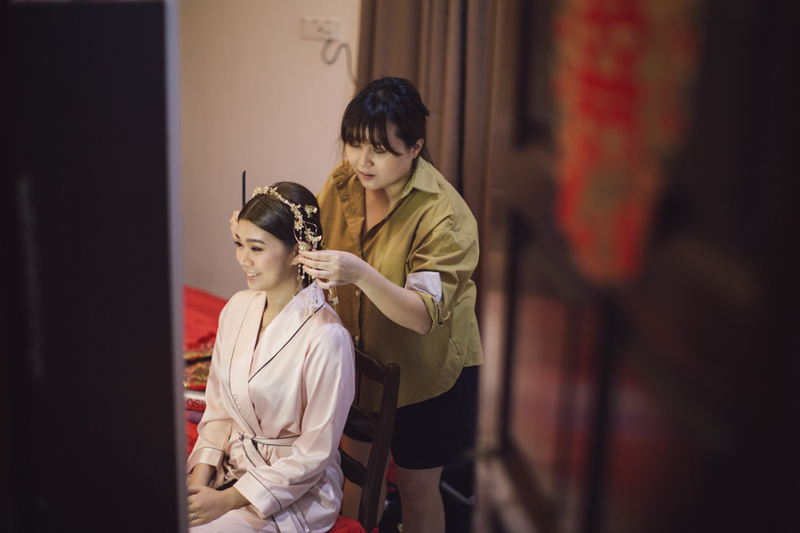 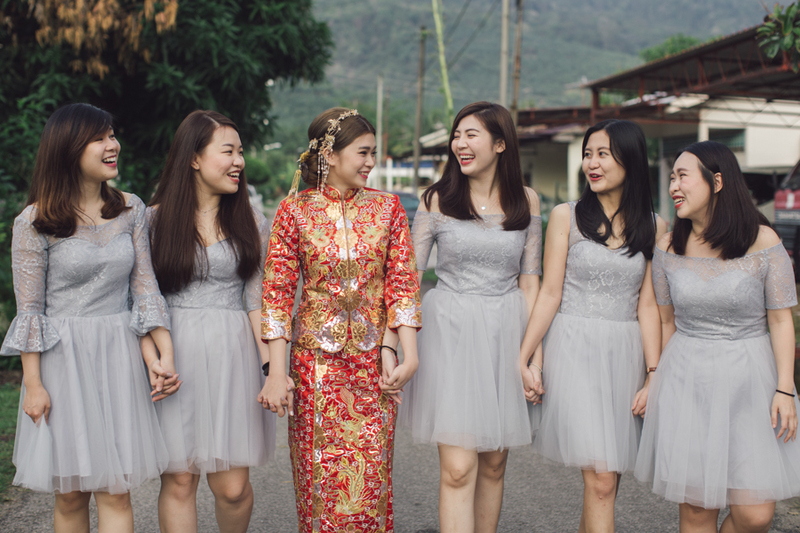 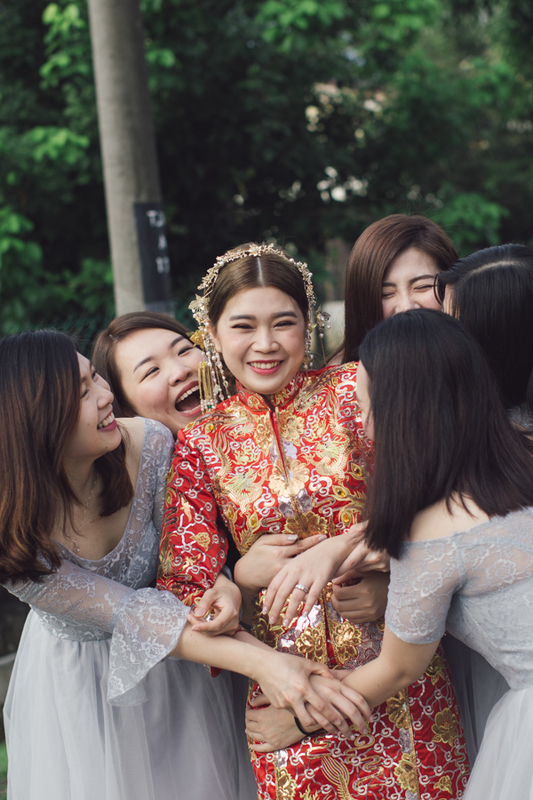 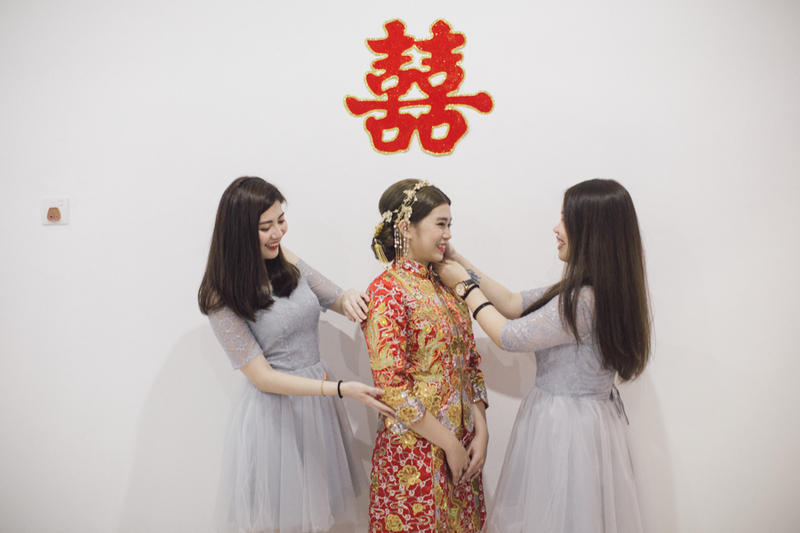 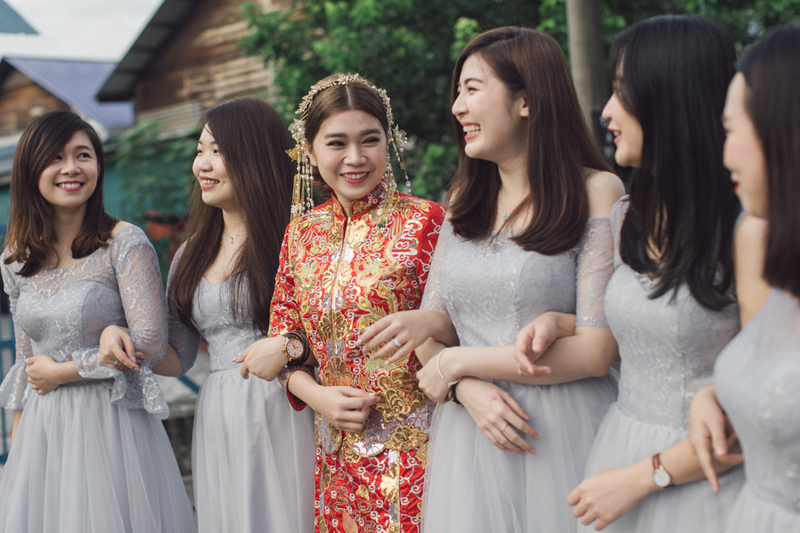 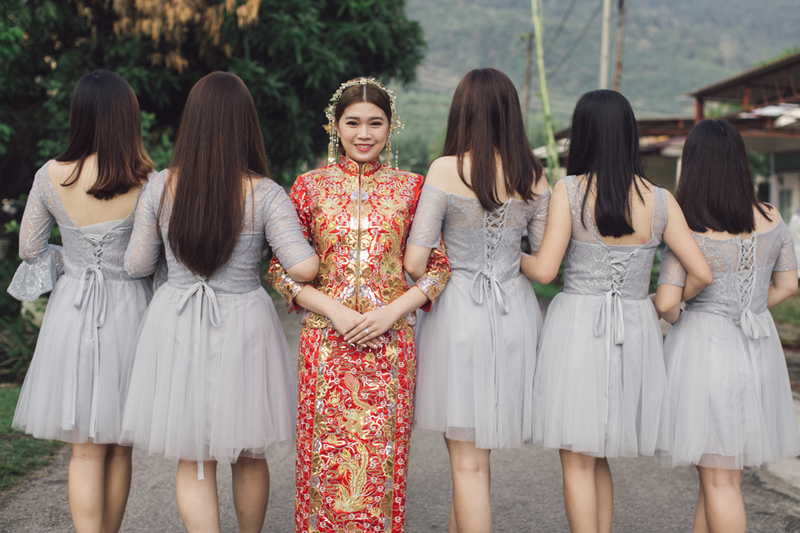 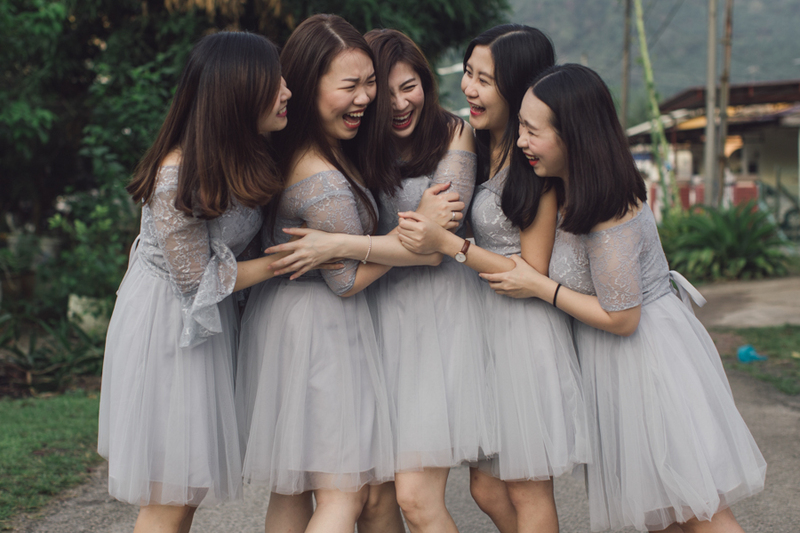 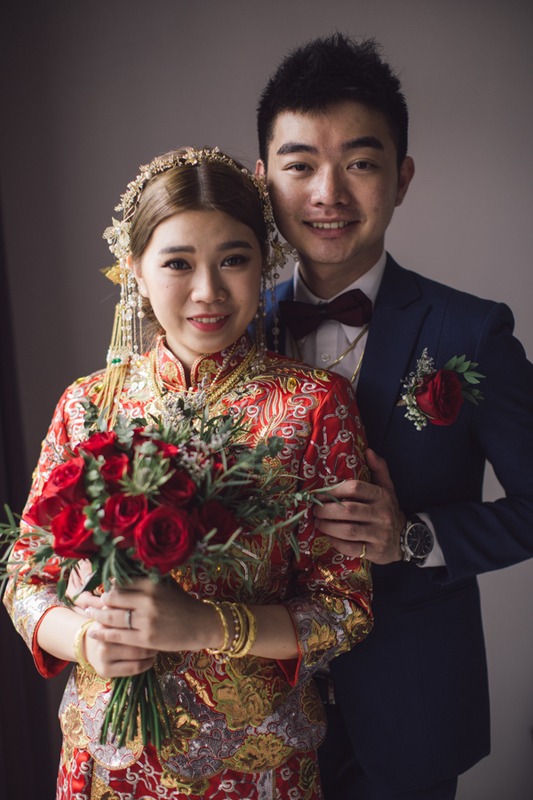 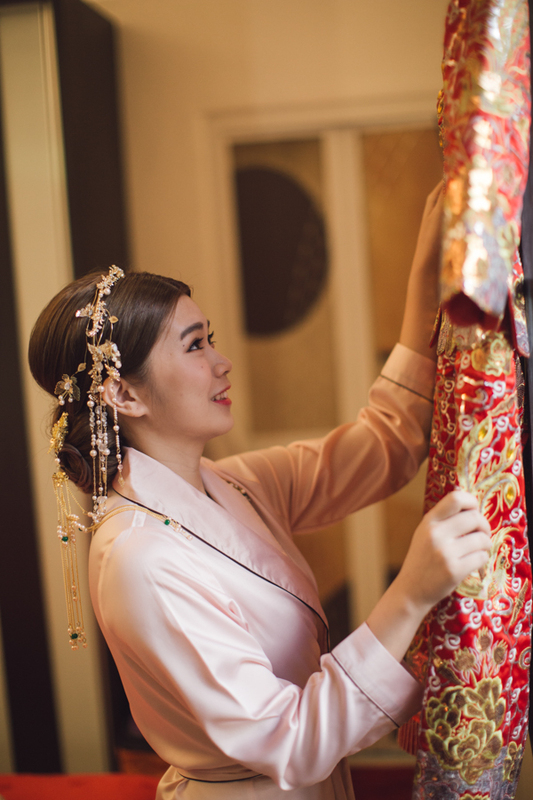 Qun Kwa is a traditional bridal gown notably worn by a Chinese bride. 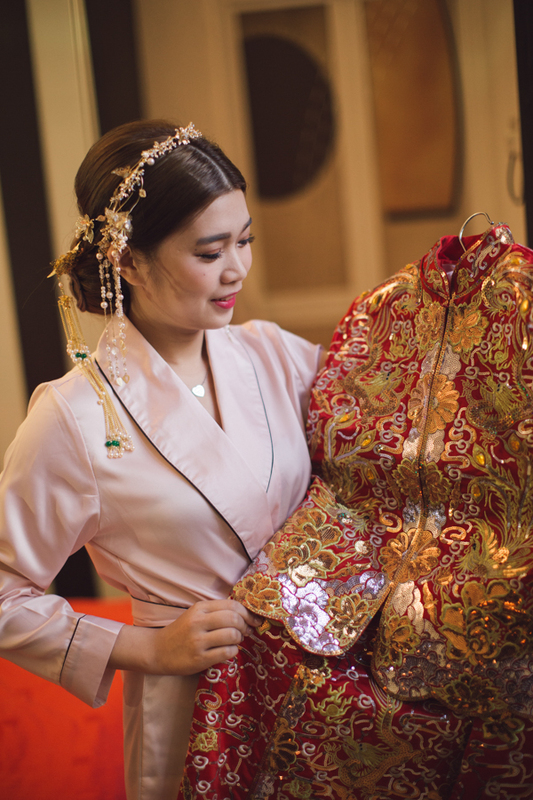 It has beautiful gold and silver embroidery that makes out a dragon. 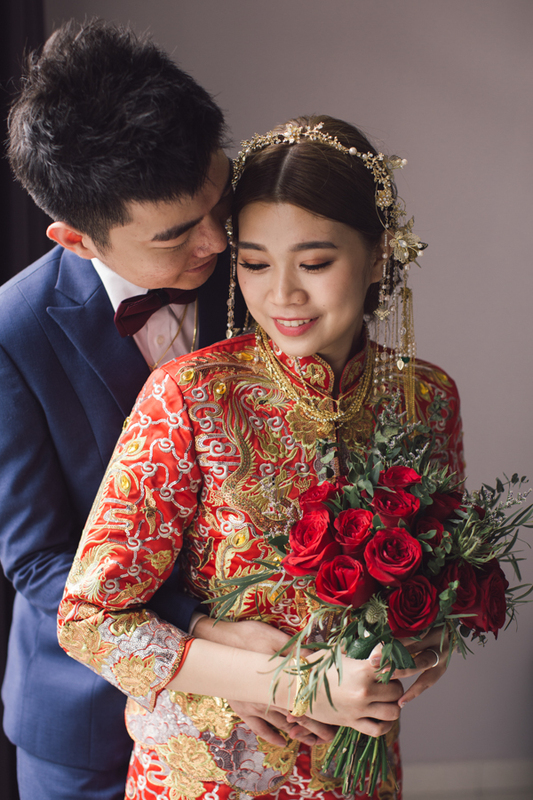 It is a two-piece long sleeve loose top and skirt in red to symbolize luck and happiness for the couple. 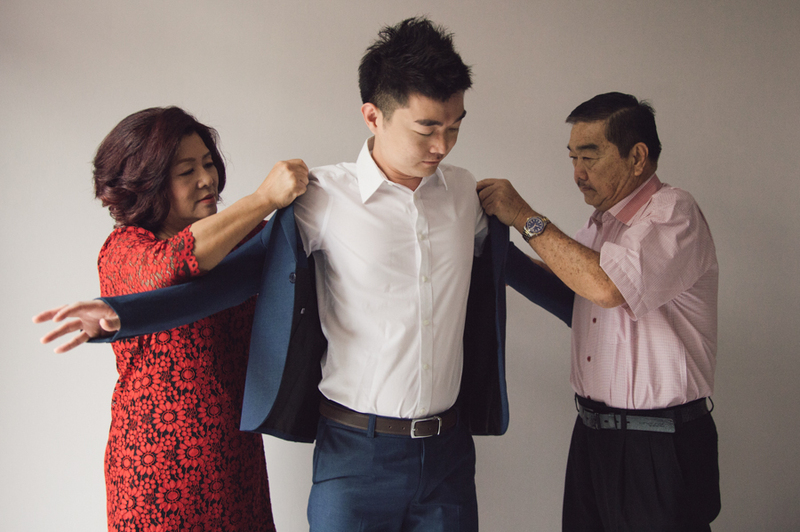 As for Wei Meng, it is not necesarry for him to wear a traditional Chinese suit. 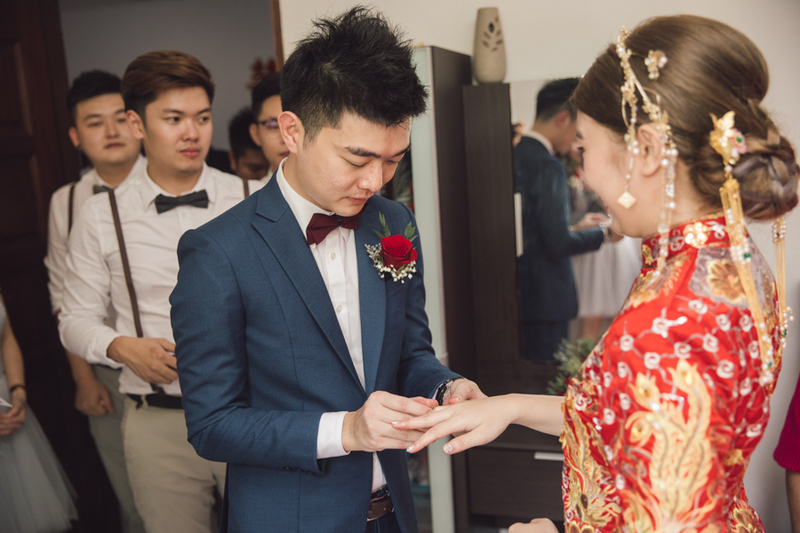 He therefore, opts for a navy blue western suit. 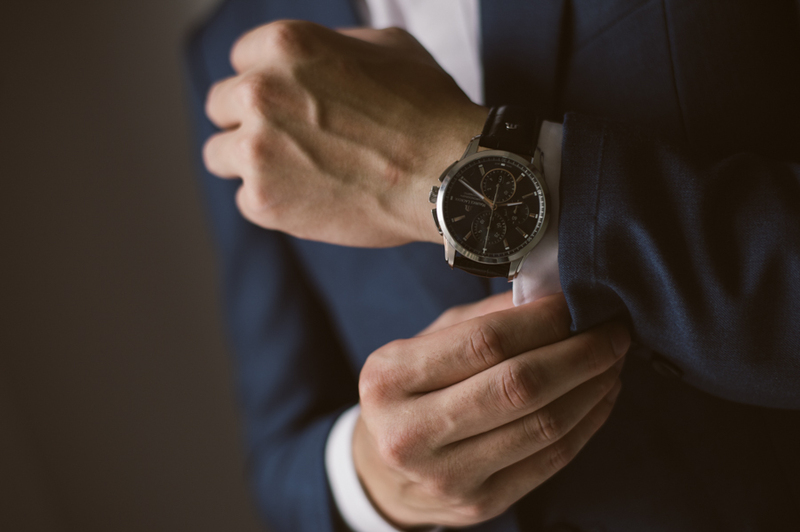 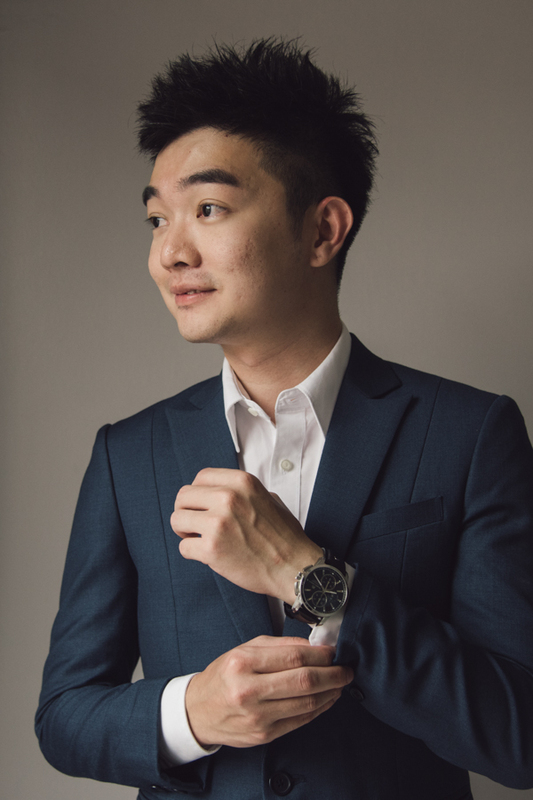 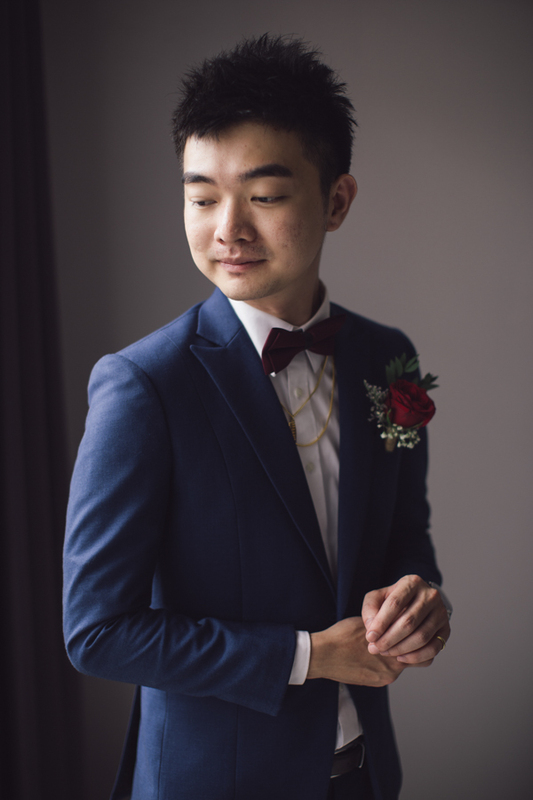 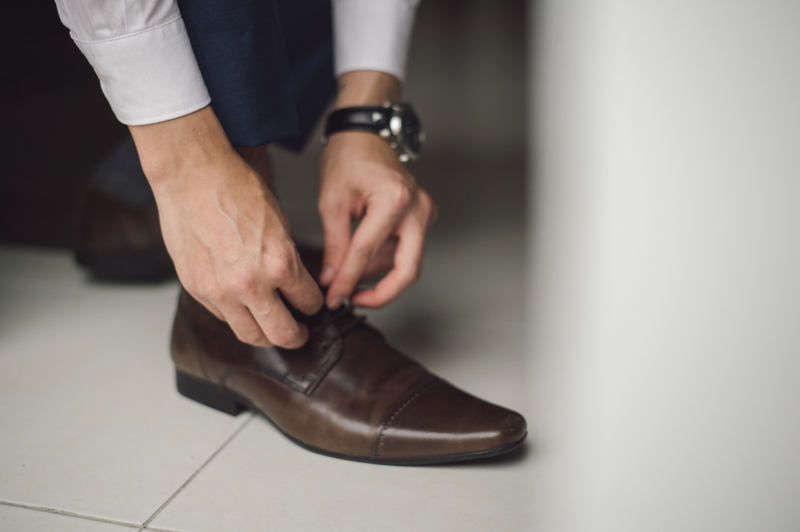 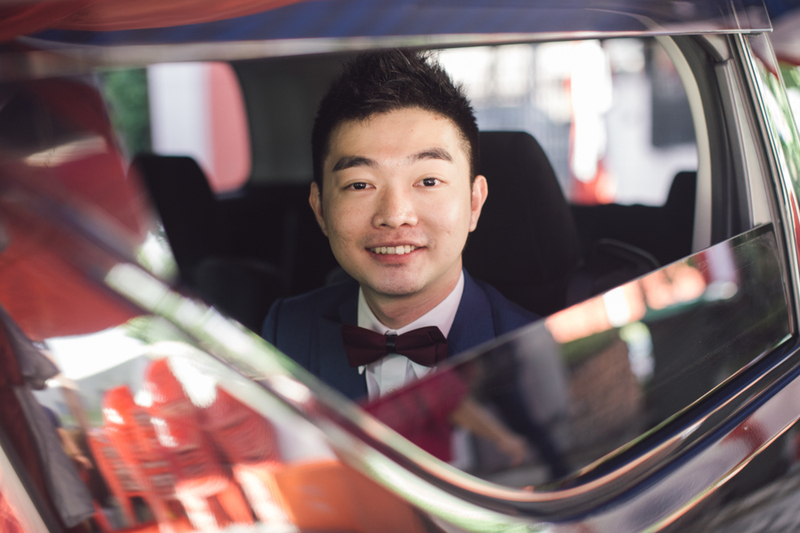 Definitely a dashing groom to compliment an elegant and beautiful bride! 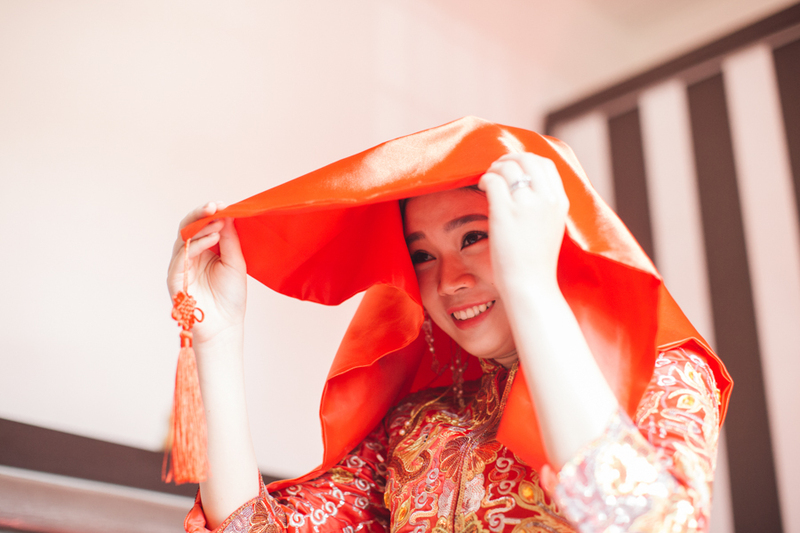 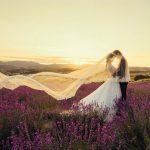 There are many wedding photographers in Alor Setar, Kedah. 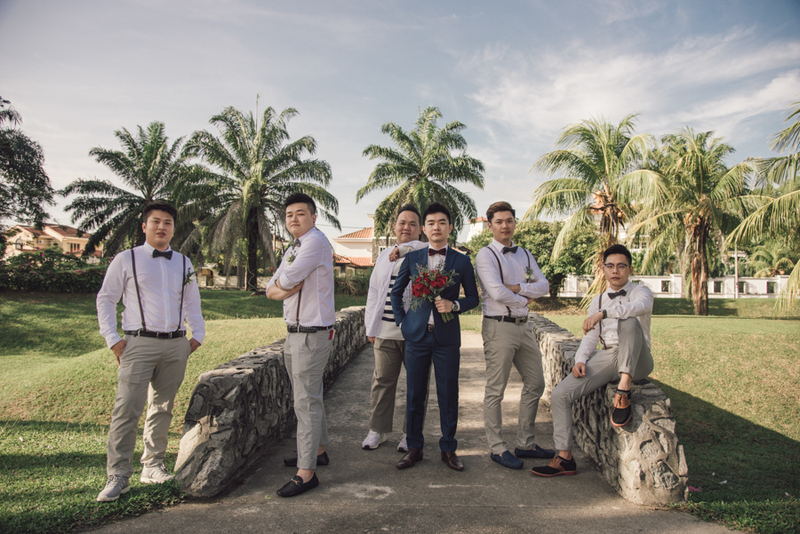 In fact, we are a team of wedding photographer based in Penang. 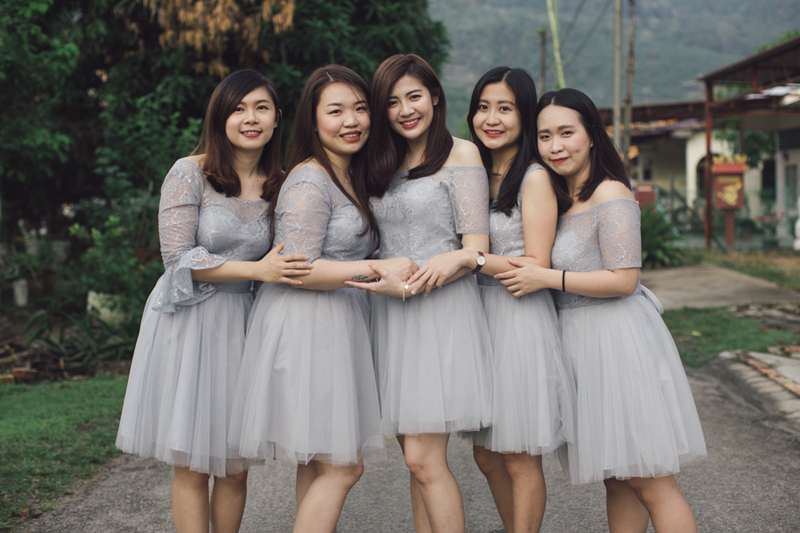 However, we travel to different places for wedding coverage.